Sandstone Properties | 927 E Las Tunas Dr. 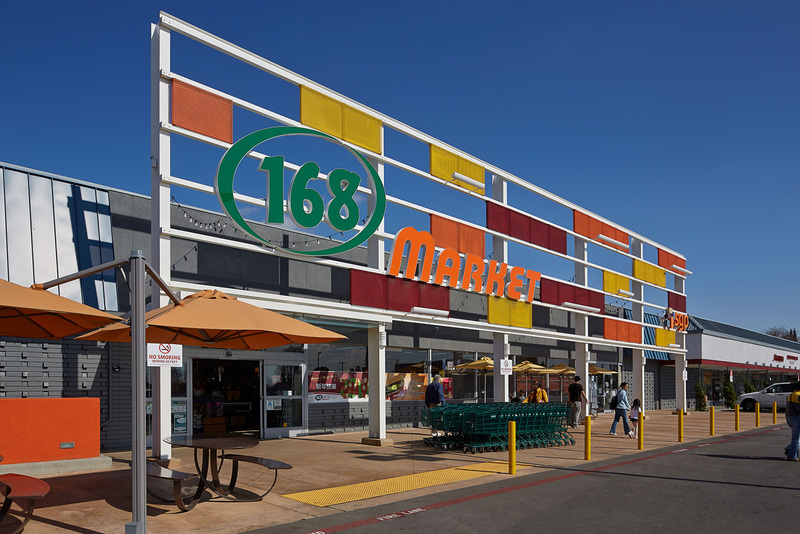 This property is an extremely busy 100% leased retail center anchored by 168 Market. Tenants include a very popular and well known Sam Woo BBQ restaurant, Yung Dong Tofu, Pizza Hut and an O’Reilly Auto Parts store. Prior to Sandstone’s repositioning of this asset in 2011, this property housed an Albertsons and was less than 50% leased. Reposition work mainly entailed extensive facade improvements and a robust new graphics program. 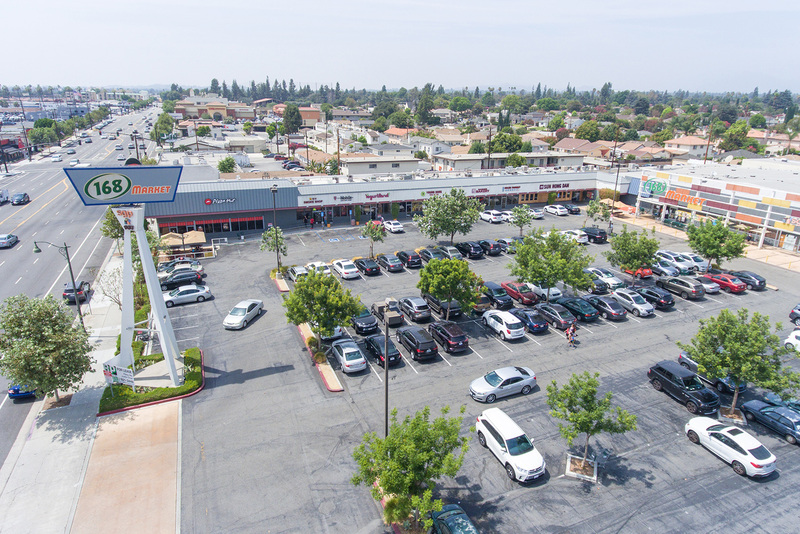 This property is an extremely busy 100% leased retail center anchored by 168 Market. 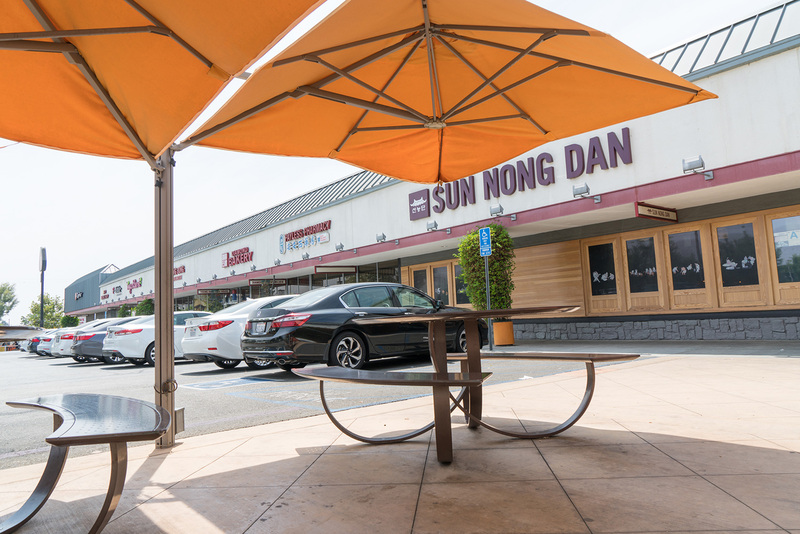 Tenants include a very popular and well-known Sam Woo BBQ restaurant, Yung Dong Tofu, Pizza Hut, and an O’Reilly Auto Parts store. Prior to Sandstone’s repositioning of this asset in 2011, this property housed an Albertsons and was less than 50% leased. Reposition work mainly entailed extensive facade improvements and a robust new graphics program.